35cc Monoject Syringes. Sold only in a Box of 30. 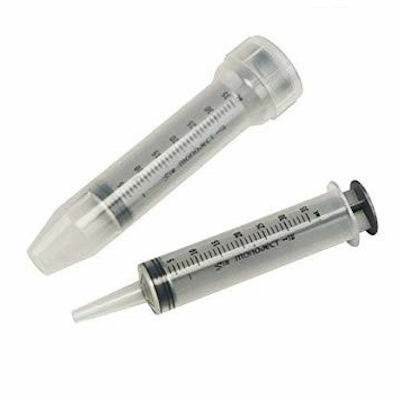 Clear polypropylene Sterile Disposable Syringes with a Luer Lock Tip with 1cc graduations. Syringe only-needle not included.